“One of the most important tools available for parents at risk of international parental child abduction is Peter Thomas Senese’s highly informative novel ‘Chasing The Cyclone’ that brilliantly encompasses the vast majority of risk factors and threats associated with child abduction. 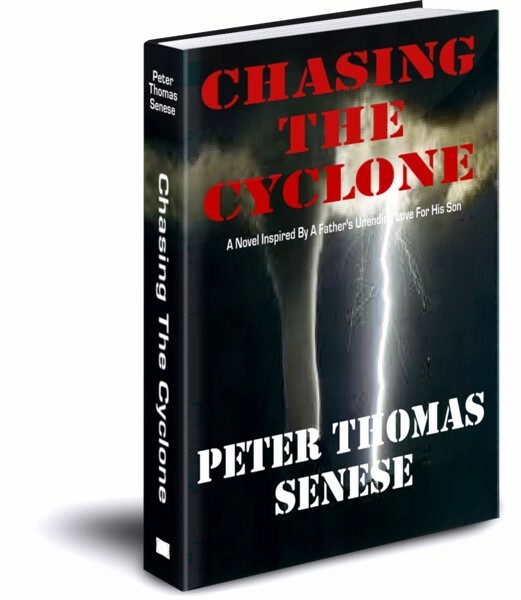 Outside of ‘Chasing The Cyclone’ being an extremely well written legal thriller that critics are talking about – which is great – because that means awareness is being raised, the fact is Peter Thomas Senese’s brilliant novel provides such incredible insight on the threats and risk factors associated with abduction, and how parents can protect themselves. 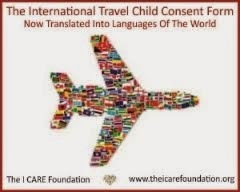 And even though Mr. Senese’s ‘Chasing The Cyclone’ is written in the form of a novel, it is my opinion that this is the most current published treatise on international child abduction available today. There were no shortcomings of useful information. In fact, I know first-hand in my role as a lawyer and Board of Director of the I CARE Foundation that many parents were able to stop a potential abduction from occurring in great part because they read ‘Chasing The Cyclone’ Funny – who says books don’t save lives? Well, whoever does hasn’t read ‘Chasing The Cyclone’. 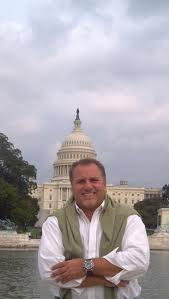 Eugene Pothy, added, “On January 17th, 2012, and after 8 ½ years of his abduction, my son Philippe walked out of U.S. Customs at John F. Kennedy airport, and into my arms. Next to me was Peter Thomas Senese, who less than six weeks earlier told me I would have my son home in six weeks. 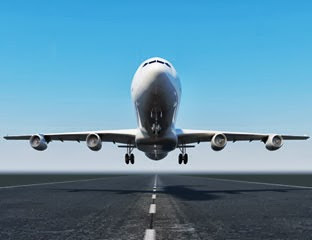 Mr. Senese was wrong: it took him 5 weeks and 5 days to bring my son home! And make no mistake, the effort, planning, field investigators, and entire orchestration that brought my son home was all due to my dear friend, Peter Thomas Senese. Chasing The Cyclone is many things: It is a beacon of hope for chasing parents of abduction, it is a treatise on international child abduction, it is a blue print on how to prevent abduction or reunite with your child, it is an integral part of the fabric that puts this growing community of parents together, and is is, as was demonstrated in my case, a financial vehicle used by Mr. Senese to help offset the financial costs of safely recovering children such as my son." The New York Journal of Books said of Chasing The Cyclone, "Chasing The Cyclone is a well-written thriller . . . Senese shares myriad emotions by writing in the first-person as he weaves through the action in this suspense-filled story . . . This novel might also be considered a treatise on international child abduction. Cyclone, while full of actual strategies and resources to assist parents in international abductions, is above all else a love story about a father and son ... From Los Angeles, to Canada, to New Zealand, and eventually, Macau, a special administrative region of China, Cyclone is rife with international intrigue and suspense. The protagonist, Paul Francesco, orchestrates a master plan that he hopes will reunite him with the love of his life - his son. Along the way he finds himself swamped in red tape and drenched in frustration. Filled with a plethora of powerful characters and puzzling predicaments and dead ends, the story moves quickly . . . Cyclone will leave you informed and satisfied . . . you will be reluctant to put down." The Examiner stated, "Peter Thomas Senese is a gifted storyteller who takes readers on a heart pounding journey around the globe through the eyes of Paul Francesco, a father whose 7-year old son is abducted by his mother. The writing is raw and the emotions are real . . . The story is filled with twists and turns that will leave readers scratching their heads, seething in anger, and hugging their children a little tighter . . . I highly recommend Chasing the Cyclone as a must-read. You will not be able to put it down. It may very well change the way you look at life, child custody, and interactions with your child's other parent. I cannot endorse this book strongly enough." ‘Chasing The Cyclone’ is one of numerous tools Peter Thomas Senese has created to help others, including parents, policymakers, and judges aware of the plethora of issues facing children at risk of abduction. In addition to providing financial resources to the I CARE Foundation, including donating 100% of all author royalties generated from the e-book sales of ‘Chasing The Cyclone’, ‘The Den of the Assassin’, ‘Cloning Christ’, and ‘The World Turned Upside Down’, that is available on Amazon for Kindle users, Barnes & Noble for Nook users, and Google Play for Android e-book readers, Mr. Senese has produced and narrated the extensive ongoing educational documentary film on international child abduction titled ‘Chasing Parents’.